Those who were fortunate enough to watch Rage of Bahamut: Genesis in 2014 were treated to a supremely fun show with some memorable characters and lovely animation. 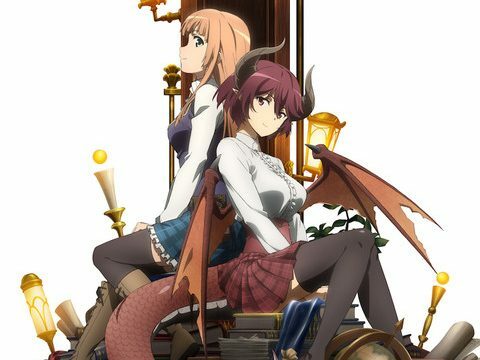 Three years later and the team behind Tiger and Bunny are at it again with Rage of Bahamut: Virgin Soul. Taking place 10 years after the end of the last series, the Kingdom of Anatae on the continent of Mistarcia is prosperous and wealthy, but not without a great cost. The capital is now built upon slave trading, nonhuman suffering, and Roman-style circuses set up for the amusement of the population. However, Nina, our protagonist, is unaware of this at first. Nina has come to the capital from her tiny village to try and earn some money to send back to her mother in the country. She’s a young girl with seemingly superhuman strength and a superhuman thirst for attractive men. While this makes her a normal person, she is saddled with one small additional problem: once she becomes too aroused, she transforms in to a fearsome and violent dragon with much death and destruction following. So, for much of the show we are treated to watching a parade of very beautiful men unintentionally entice Nina, with Nina doing her best to suppress her instincts. Nina is doing her best to make a small living by doing day laboring (putting all other laborers to shame) and attempting to become a bounty hunter. 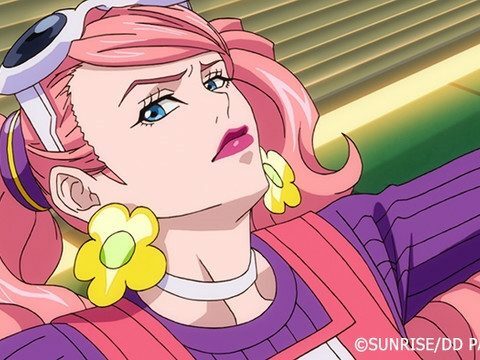 Her antics, however, extend further to whatever will make her money, including cooking, gambling, arm wrestling, and attempting to avoid all the beautiful men populating the city. During one of her bounty-hunting outings she is tasked with capturing a very attractive male demon wrapped in rags and named Azazel. He makes the near fatal mistake of saving her from falling to her death and, in turn, she sees just HOW handsome he is and dooms a portion of the royal guard in her dragon wake. Along the way she meets Doctor Rita, an ancient zombie with a somewhat steampunk aesthetic to her, and her assistant Rocky, who, like Thing from The Addams Family (a reference that proves how old I am), is a disembodied hand wearing some adorable overalls. Several characters from the first season make appearances in this one, such as the constantly inebriated Bacchus and his cohort, the talking duck Hamsa. Who else will show up is something of a mystery as are Nina’s relations with the previous cast of characters. 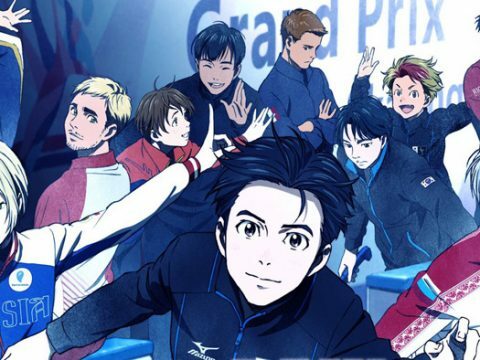 While familiarity with the first season isn’t a requirement, it is recommended. 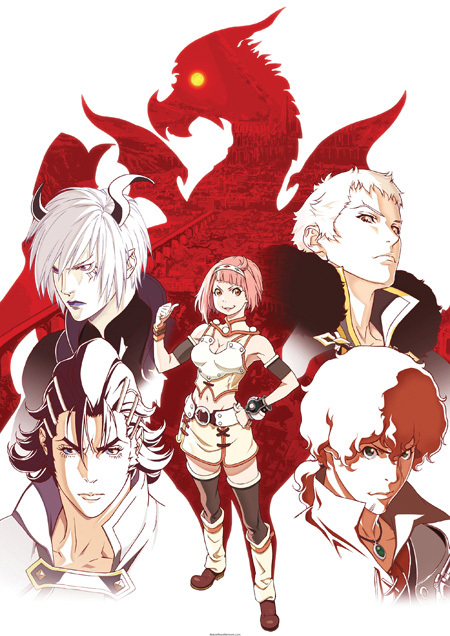 Like the first season, this one is headed up by Keiichi Satou, most notable for directing Tiger and Bunny, and a notable staff including much of the animation team behind the Berserk movies as well as Sayo Yamamoto, director of the recent Yuri on Ice and Lupin III: The Woman Called Fujiko Mine, Rage of Bahamut: Virgin Soul is able to pull from the cream of the animation crop. Rage of Bahamut: Virgin Soul is based on the mobile card battle game of the same name and, like the previous season, the power and popularity of these card battle games show in their exquisite animation on screen. The world Nina inhabits is beautiful with lavish backgrounds and gorgeous animation making it a great treat for those sakuga fans out there. However, the animation by MAPPA isn’t the only worthwhile aspect of the show, Nina and her co-stars are a delightful group that play off of each other very well. If you watched the first series, Genesis. there’s no reason not to continue with Virgin Soul. If you’re not familiar with the world of Rage of Bahamut, then it’s one worth getting into. The sequel to The Eccentric Family is even better than the original.